Egypt will introduce a value-added tax, President Abdel-Fattah El-Sisi announced on Sunday in an editorial for the Wall Street Journal. 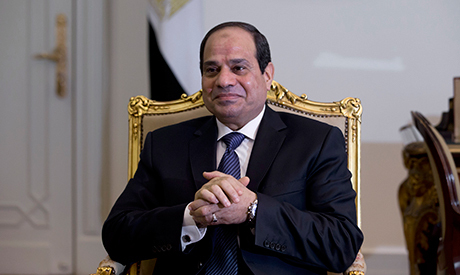 “The planned reform will move Egypt toward a value-added tax regime that will — alongside a simplified tax regime for small and medium-size enterprises — raise revenues and bolster investment incentives by boosting growth, creating jobs and improving firms’ cash flow,” said the president. The tax is part of the government's fiscal reform programme, which includes cuts to expensive energy subsidies and the introduction of other new tax measures, and aims to containing the country’s budget deficit, which is estimated to have reached 10.8 percent of GDP in the last fiscal year. The current year’s budget targets a deficit of 8.9 percent of GDP. Egypt is aiming for a 5 percent growth rate for the current fiscal year, up from an estimated 4.2 percent in the year ending 30 June 2015. Egypt expects LE422.4 billion ($54 billion) in tax revenues in the current fiscal year ending in July 2016, up from LE267 billion ($34 billion) collected in the previous fiscal year. The finance ministry estimated earlier this year that VAT could raise tax revenues by around LE32 billion ($4.1 billion). Earlier this month, the finance minister said that imposing VAT would have a one-time impact on prices of all goods excluding foods, raising them by between 0.5 and 2.5 percent. El-Sisi is currently in New York, where he is attending the 70th session of the United Nations General Assembly.